Norland Leyton Log Cabin: The Norland Leyton Log Cabin features an off-set Double door in Front Wall such that the cabin can be built either way around so that the door is biased to the right or the left with windows exchanging position correspondingly. This allows for really efficient use of space inside the cabin making it an ideal garden office or similar. The Leyton features our Norland Chalet Cut Corner joints for superb weather resistance. 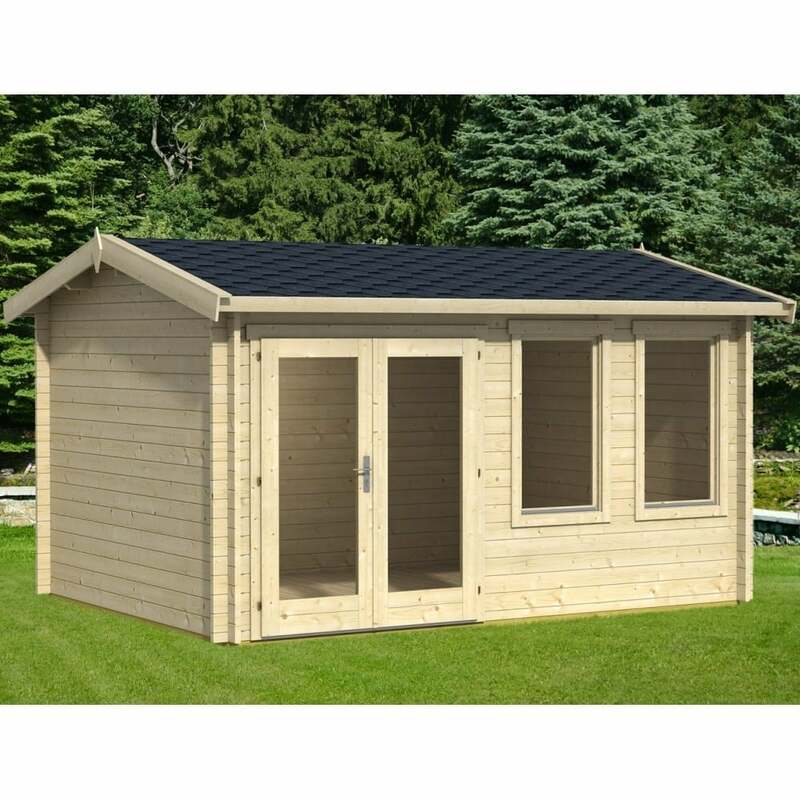 The Norland Leyton Log Cabin is an ideal garden office, children’s play room, home gym, summer houses or general utility style building and also creates an attractive feature in the garden. The traditional Nordic build style of this cabin creates an easy to assemble and extremely sturdy structure and uses no screws or nails in the wall construction. The Norland range also feature chalet corner jointing to give that extra timber jointing for extremely good weather resistance.